HEUER Lift height adjustment for the HEUER vice. The perfect complement for an ergonomic workplace. No matter which differing body sizes, tool sizes and type of work to be carried out, HEUER Lift units enable the perfect operating position to be adjusted effortlessly to the vice. The adaptation of the vice to body size is an especially important factor for trainees in schools or trainee workshops, in order to avoid incorrect body posture and its serious consequences. Items of different height, sizes and shapes requiring a variety of work, are effortlessly accommodated with the HEUER Lift equipment. 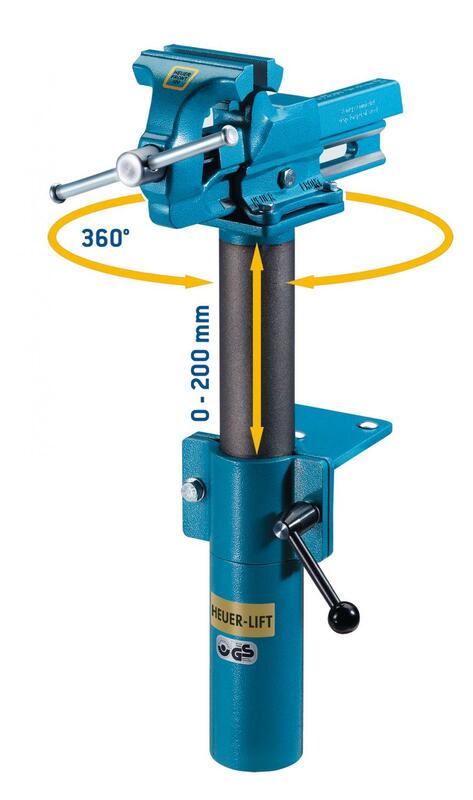 The vice can be adjusted with ease to a height of 200 mm and rotated through 360°. 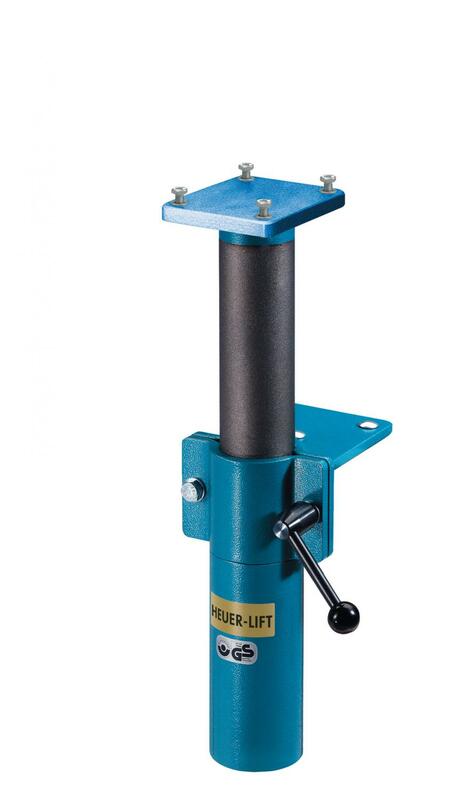 A gas shock absorber, specially tuned to the weight of the vice, makes the vice practically weightless. The vice is then locked in place at the optimum working position.